Stila Cosmetics recently launched their fun new Perfect Me, Perfect Hue Lip & Cheek Palettes and I'm betting these are going to be super hot sellers this summer. After all, who doesn't love an easy-to-use palette? There are four to choose from based on skin tone (Fair/Light, Light/Medium, Medium/Tan, and Tan/Deep), each curated for a harmonious look. For something more natural, pick the palette that matches your skin tone. For something more dramatic, pick a palette deeper than your skin tone. 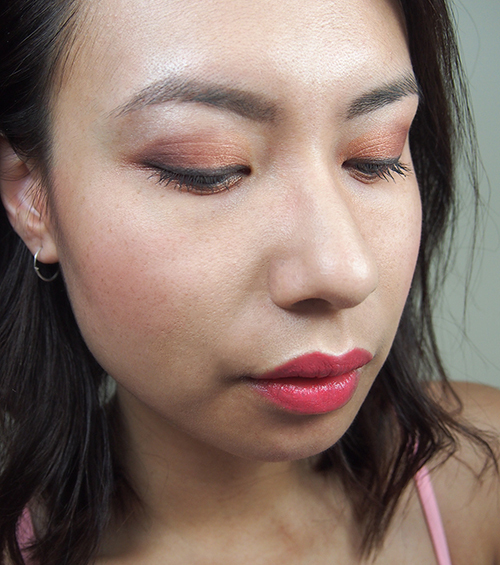 I personally like more dramatic eye makeup so it worked out great that I received the palette in Tan/Deep from a press preview a few weeks ago. The square palette comes in Stila's new signature gold packaging. It's lightweight but still feels sturdy and fits really nicely in the palm of your hand. Inside each palette you'll find five eye shadows and two blushes. The Tan/Deep palette features the most vibrant of all the shades available since it's obviously intended for darker skin tones. It includes: Imaginative (base), Brilliant (highlight), Flirty (crease), Adventurous (lid), Mesmerizing (liner), Vibrant (blush), and Witty (blush). Stila's Colour True pigments are triple milled for exceptional saturation and vividness. I was very impressed with the formula of both the eyeshadows and blushes... you really don't need a base (although I still prefer one). I used all of the eyeshadows for the FOTD below according to the guide on the back of the palette, as well as Vibrant blush. As you can see, it's quite a copper-based look (largely due to Adventurous on the lid) but still works with my lighter skin tone regardless. For makeup junkies, I think it'll be hard to resist wanting to collect all four of these palettes! At an SRP of $51 they are a bit pricy but totally justifiable since you're getting a full eye & cheek look in one. In Canada, you can find these at Shoppers Drug Mart, Murale, and beautyBOUTIQUE.ca. im loving these shades! Adventurous is so stunning! Ohhhh that's a stunning palette, it's so good that they match your skin tones too! 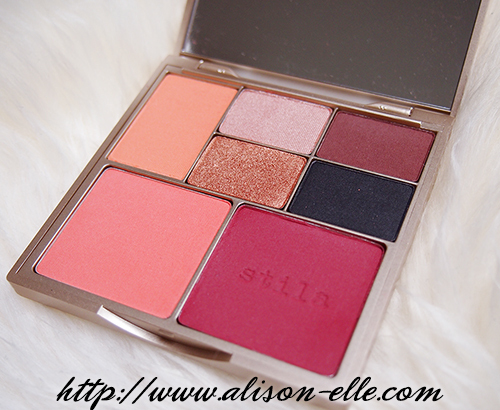 This is such a gorgeous palette! I currently have the light/medium one on my wishlist! Oh my goodness, these shades are beautiful! Witty is a gorgeous blush colour! I love the look of this palette and the look you created with it.